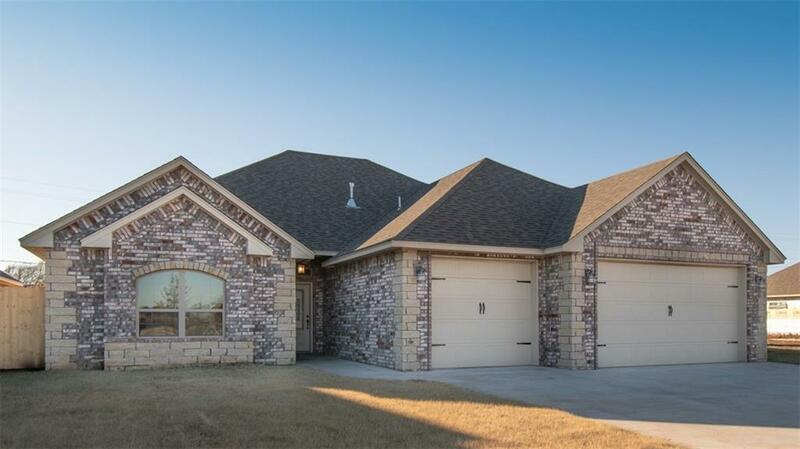 1317 Dustbowl Lane, Altus, OK.| MLS# 844199 | CENTURY 21 Altus Prestige Realty, Inc.
ANOTHER MESQUITE MEADOWS CUSTOM BEAUTY!!! âThese are the most custom spec homes I have ever seenâ is how these homes were described! Just a standard practice for this builder to put granite in the kitchen and both baths, customary SS appliances to include a refrigerator AND a GAS oven/range, energy efficient tilt in windows, bull nose corners, cabinets built on site, 50-gallon water tanks, 2 x 6 wall construction for better insulation, 9-foot insulated garage doors, energy efficient HVAC and sidewalks throughout the entire addition AND NOW wood privacy fences. This particular home comes with 4 bedrooms, 2 full baths (both w/double sinks), 2 dining areas & a 3 car garage!! The kitchen, breakfast nook and living area are all open so no one feels left out! Builder can also put in blinds, storm shelter, water softener & generator at an additional cost.